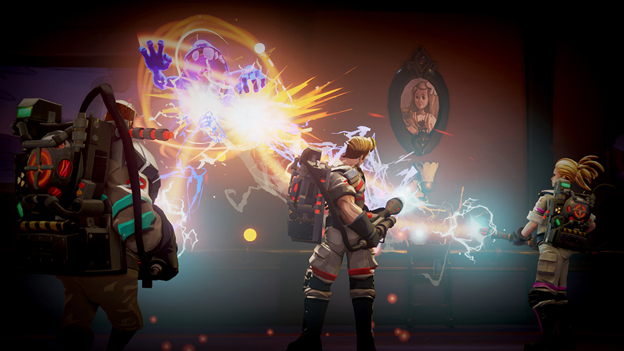 The biggest thing Ghostbusters is missing as a dungeon-crawler is a sense of rewarding progression. There is no loot, and whoever heard of a dungeon-crawler without loot? The "secrets" you can find with your scanner summon enemies or give you some extra experience. That's it. There aren't even any interesting collectibles or new and updated ghost-fighting tools to find or use. They could have given us some gadgets, maybe some puzzles to solve, or even just wacky collectibles based on the history of the Ghostbusters franchise, but nope. Combine this lack of interesting progression with overly-long levels, and you've got a game that is an utter bore to play solo. My spouse and I had some fun with the couch co-op mode (warning: there is no online co-op available), since more than one player helps make up for the brain-dead AI... but we couldn't handle more than a single level at a time before we got bored and took a break. It feels like the team at FireForge is capable of better than this thoroughly mediocre experience. A good writer and a few fun bells and whistles could have made a big difference. I'll give them the benefit of the doubt and assume they just didn't have the time or budget to pull a fully-fledged game through the dimensional rift, so they had to settle on one that's relatively competent and stable. If you're looking for an inoffensive movie cash-in to play with your couch co-op partner and you're tired of Lego games, well, here ya go. 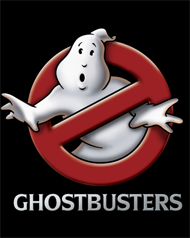 Ghostbusters will get you through a few levels of mildly pleasant action before you shrug and see what's new on Netflix. That's about all she's got in the ol' proton pack, but as far as movie tie-in games go, it could certainly be much worse. Fun character and ghost designs, but uninteresting locales. Dodge-rolling is fun, but movement is sluggish even with upgrades and aiming feels off. The voice actors do the best they can with what they've got, and the backing tracks are inoffensive. Mix is uneven. No satisfying sense of progression and overly-long levels make it easy to get bored long before finishing this relatively short game.